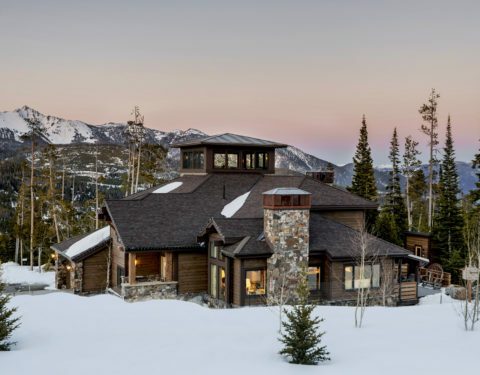 Never has a home felt more alive than in this Big Sky custom mountain retreat where the indoors fully embrace the outdoors in an earthy remodel. 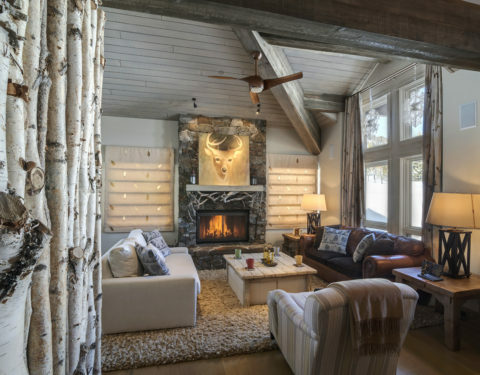 In this neat home renovation, most prominently displayed are real Aspen timbers, arranged both as main focal points and single wall accents. 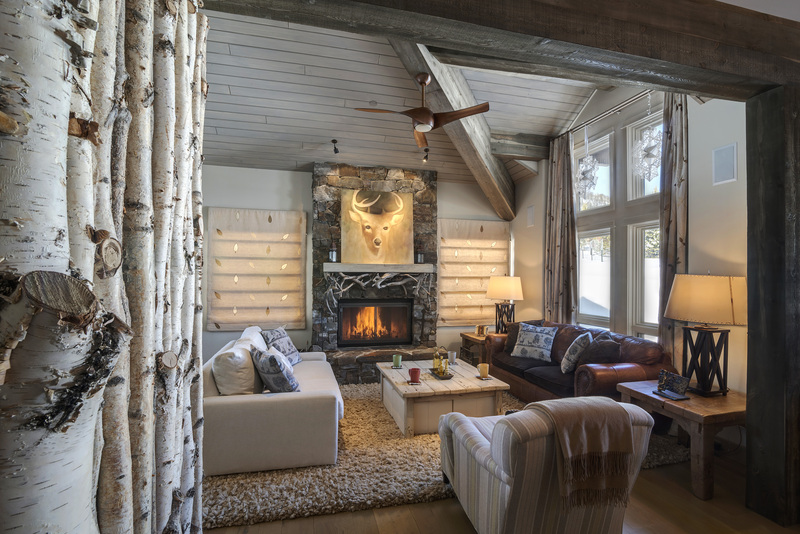 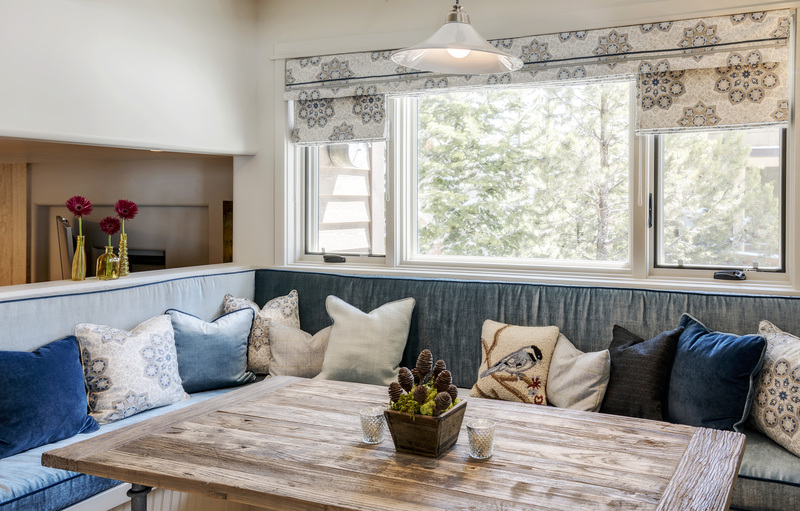 Leaf-dotted curtains provide a complementary pseudo-foliage to the white-bark colored timbers. 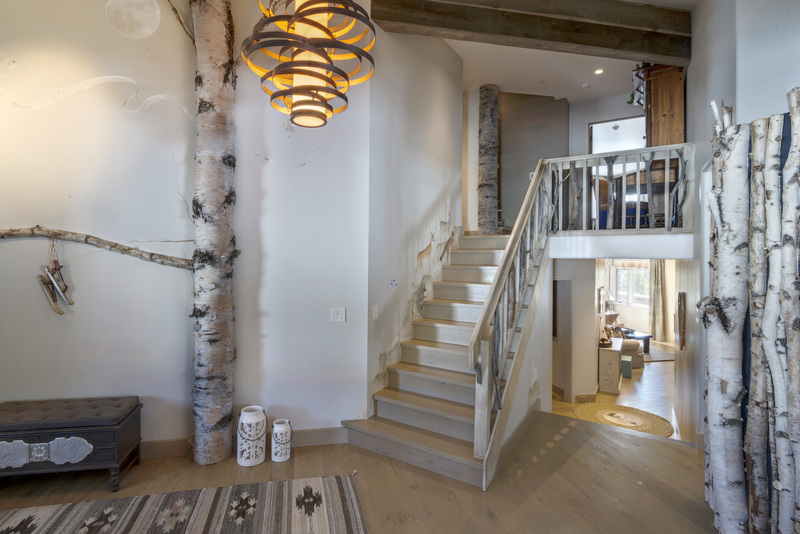 Carefully selected branches highlight the fireplace with root-like component and add variation to the stair rail leading to the second story. 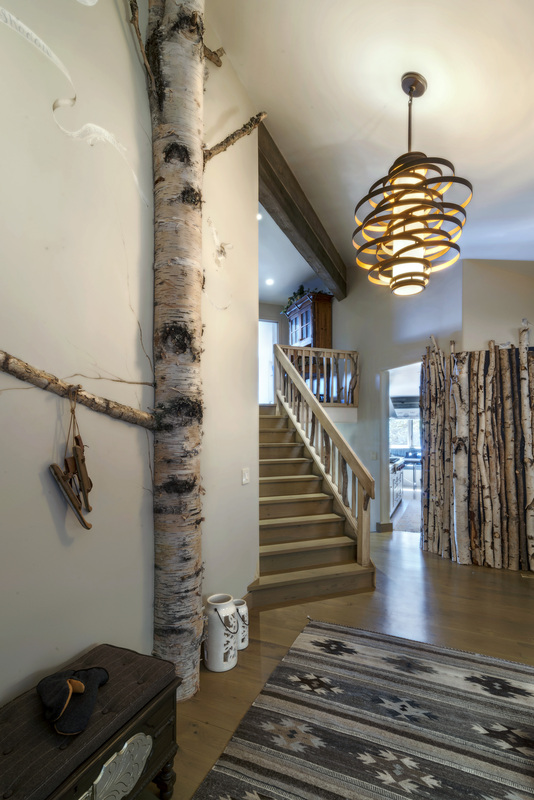 Adding to the charm of the woodsy atmosphere is a beautiful chandelier fashioned of metal rings in a model resembling a pine cone. 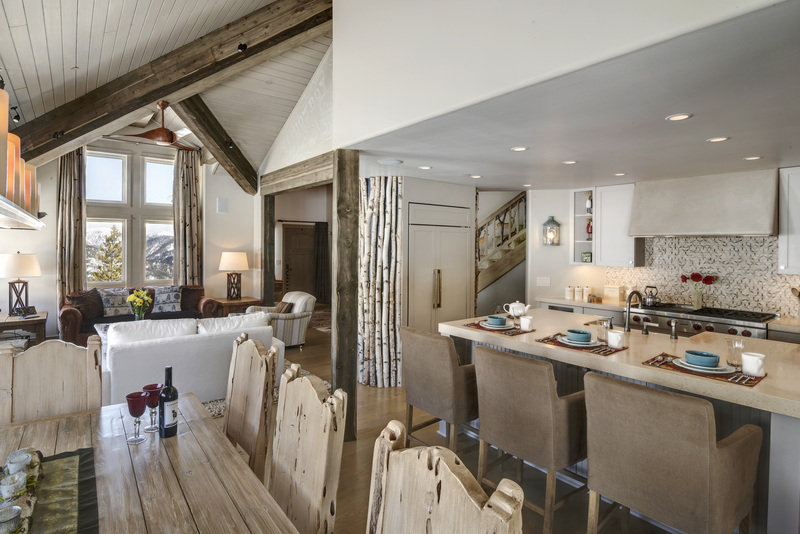 Subtly stenciled phrases and artwork combined with original furnishings, such as the dining room chairs crafted from raw lumber reminiscent of driftwood, further set apart the theme of this abode. 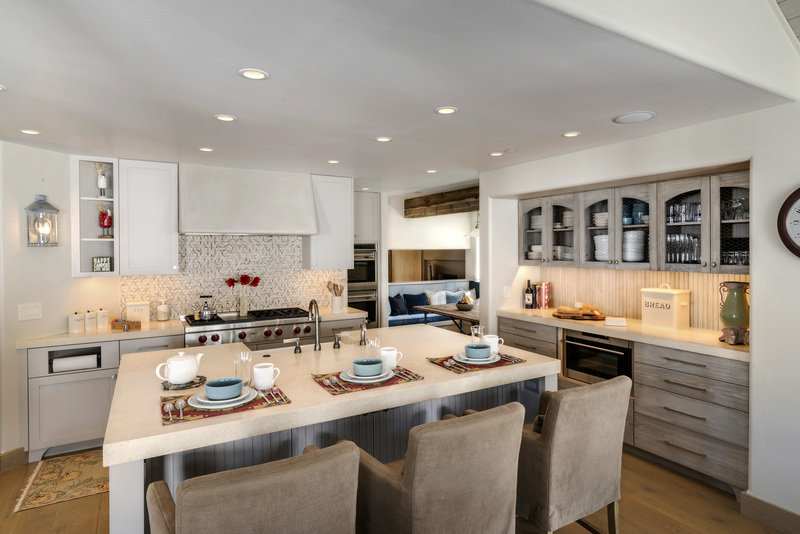 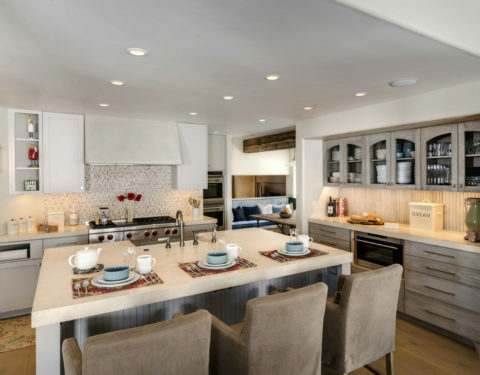 In the kitchen, soft natural tones continue in the finish of the white Oak shaker cabinets and sturdy travertine countertops. 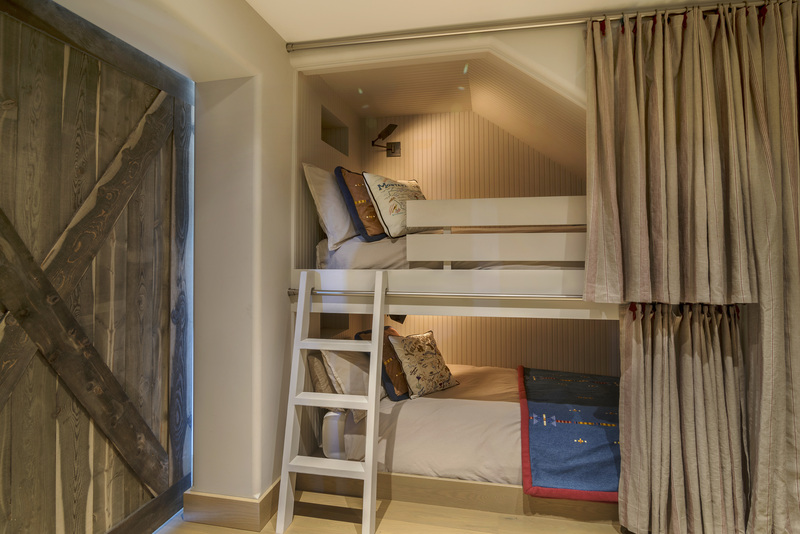 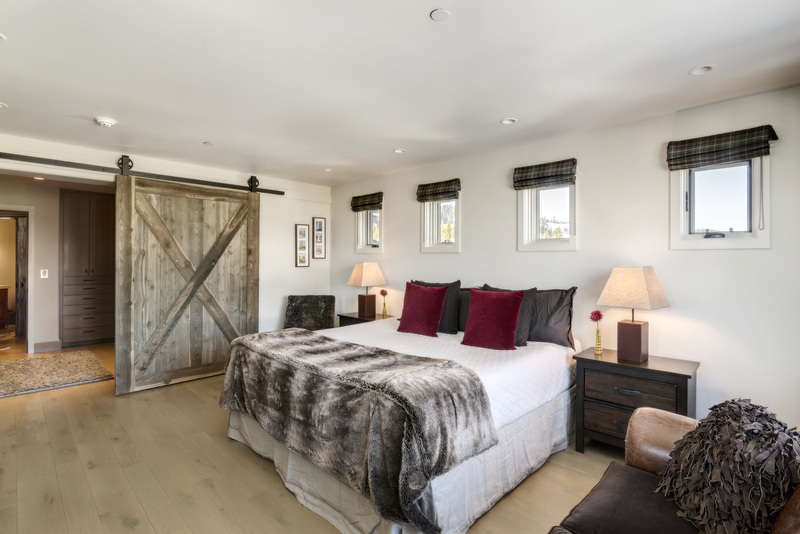 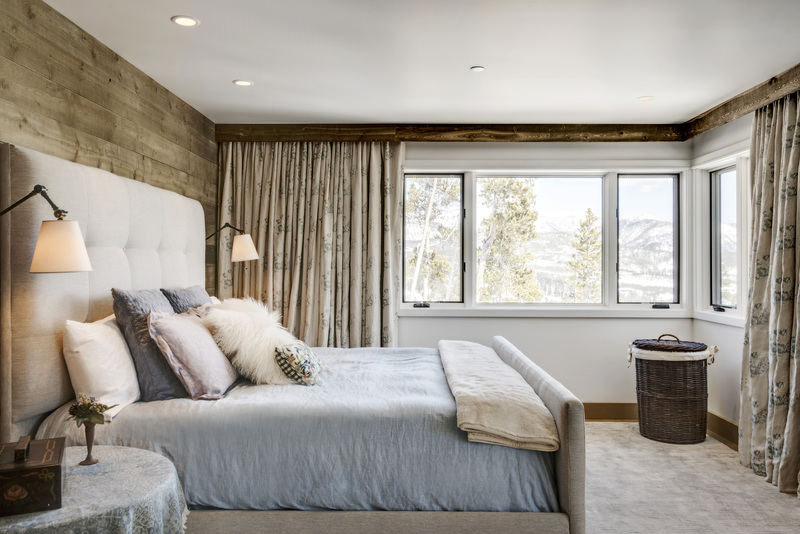 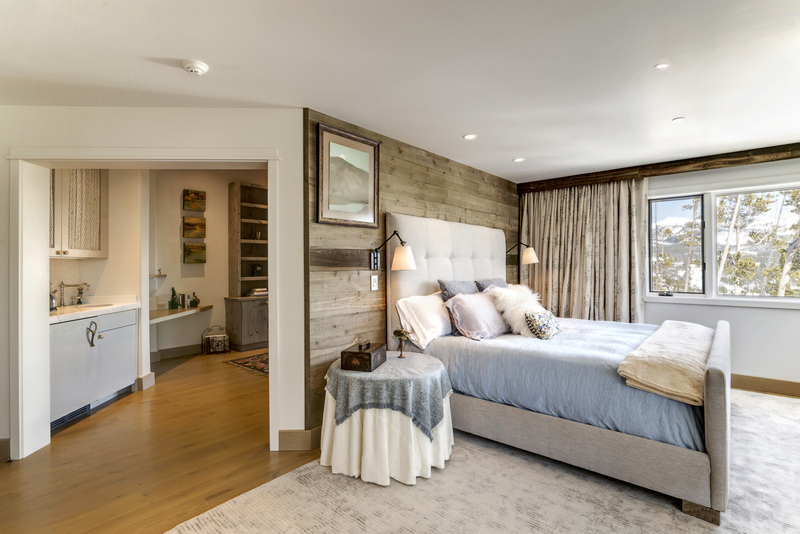 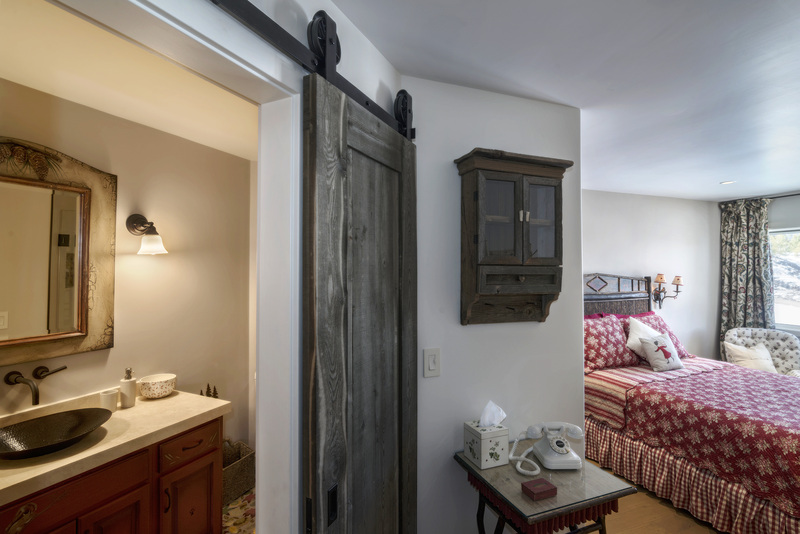 Venturing to the bedrooms, one can appreciate a blend of classic country elements apparent in rustic wood paneling, sliding barn doors, and more colorful design choices. 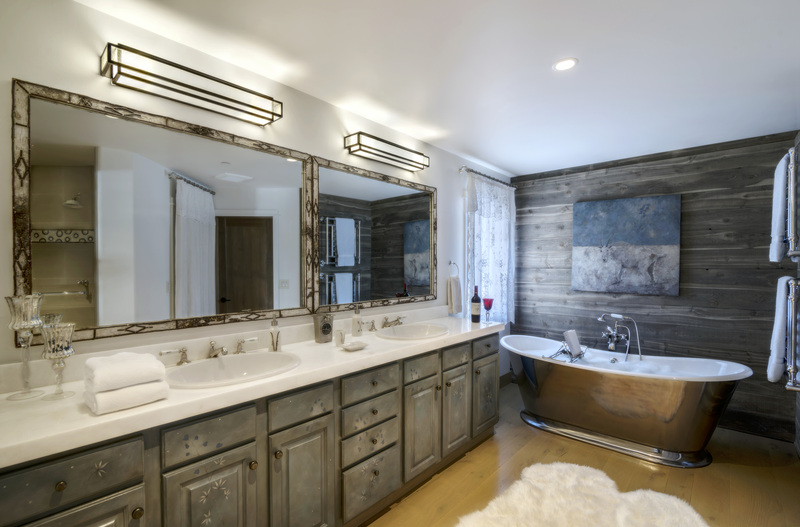 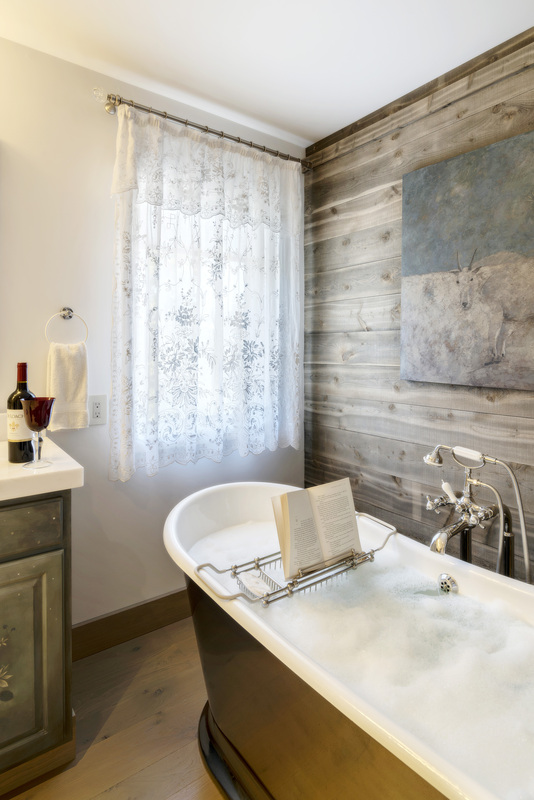 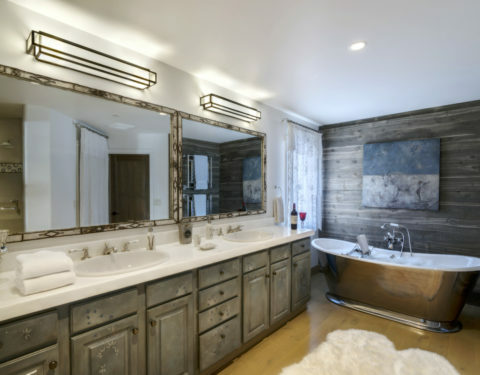 The master bathroom is truly a tribute to old-style with modern comforts evident in the white marble countertops, muted floral artwork painted over deeply distressed cabinets, and the mirror-metal exterior on the porcelain soaker tub. 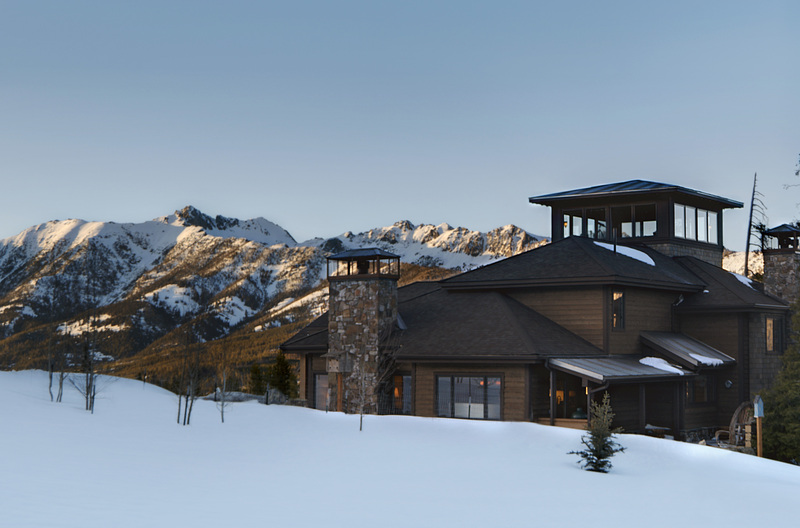 And to top it all off, the aptly named “tower” offers unrestricted 360 views of the surrounding ranges, landscapes, and ski slopes. 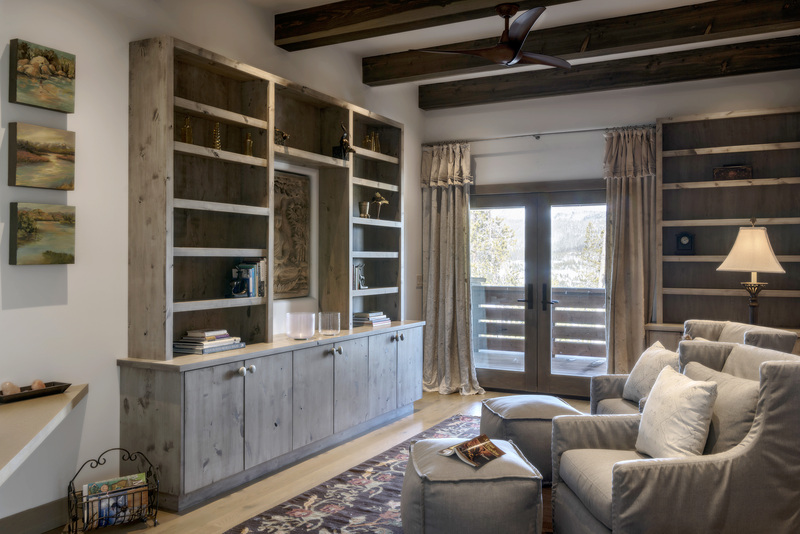 While the soft hues of purple and grey in the furniture and finishes simulate a field of Montana lupines in the summertime. 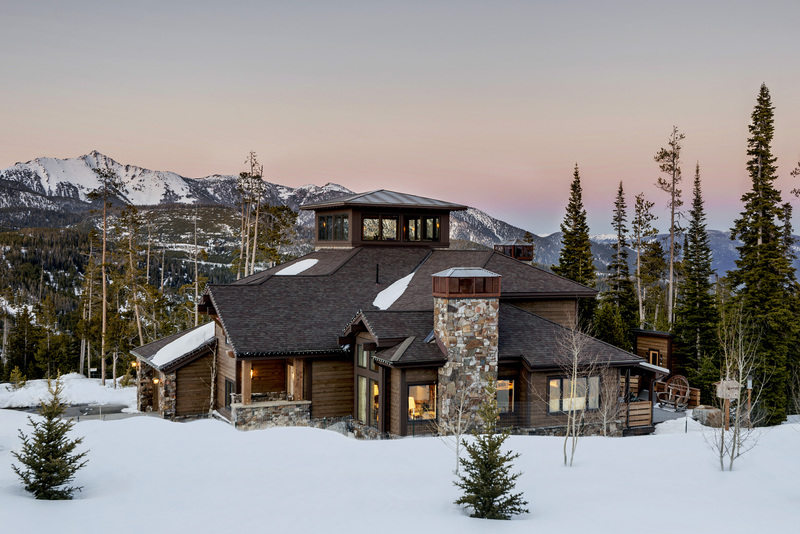 Owners adore the “outdoor couture” of truly unique craftsmanship and design inspired to showcase the natural beauty of Montana scenery.